The Shazam! movie is just a few weeks away, but the latest issue of his new comic book series will hit later this week. 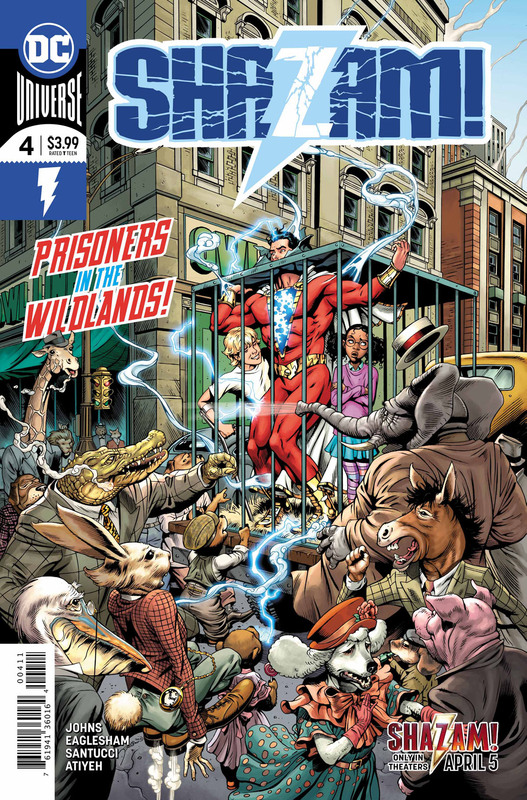 Geoff Johns and artist Dale Eaglesham launched the new series with a storyline called “Shazam and the Seven Magiclands.” In this incarnation, Billy Batson/Shazam can share his powers with anyone he considers family. So far, only Freddy Freeman, Darla Dudley, Mary Bromfeld, Eugene Choi, and Pedro Pena have made the cut. Now, King Kid wants to be the seventh champion, even if he has to destroy the entire Shazam family to do it! Readers have also learned that there are seven realms: the Magiclands, the Gamelands, the Earthlands, the Darklands, the Monsterlands, the Wildlands, and the Funlands. King Kid rules the amusement park-like Funlands, and he tried to cast Mary and Darla away. Now, Pedro and Eugene have been lost in the Gamelands, while Darla and Freddy are trapped in the Wildlands. 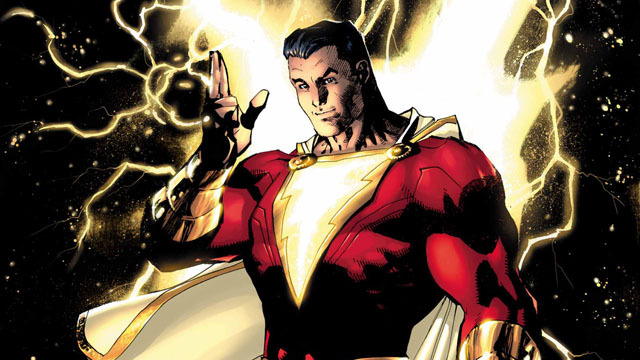 In Superhero Hype’s exclusive preview for Shazam! #4, we finally see the Wildlands, a place where humanoid animals embrace their inner beast. But there’s one notable exception: a tiger named Tawny. He’s desperately trying to overcome his nature…and that’s against the law in this world! Long time fans may also recall that Tawky Tawny was one of Shazam/Captain Marvel’s oldest allies. This is his new origin in the DC Rebirth era. You can read the full exclusive preview in our gallery below. Shazam! #4 will hit comic shops on Wednesday, March 27. Let us know what you think in the comment section below! Tags: dc, DC comics, Shazam!